The early education of a child is a crucial aspect of future success and happiness. 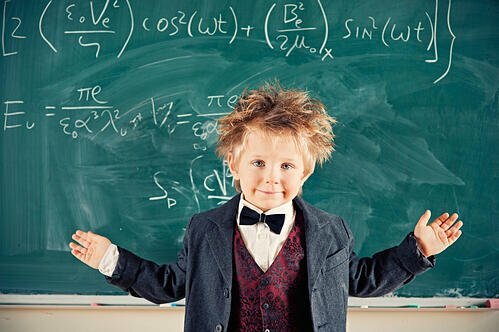 The most important qualities to nurture before any formal education is a vivid imagination, curiosity, and a love of learning. A previous article presented in The Father Factor, “Five Easy Ways Dads Can Get Involved in Their Child’s Education”, posted by Christopher A. Brown, gave excellent advice regarding dads and their children’s education. I’d like to expand on that topic with a focus on the early years, prior to school. Whether you're a dad or lead other dads, these ideas can help you consider new ways teach a child. Many parents, especially first-time parents, miss the greatest opportunity they will ever have to influence their children. It comes in the first five years of their lives, when they are ripe for learning, hungry for knowledge, and malleable. In that time, they are like sponges, ready to soak up the environment around them. It’s your responsibility to provide an environment that is rich and fertile. The more they learn, the larger their thirst for learning. A dad can provide both customary and magical ways to prepare children for their future, but he can be particularly effective in the magic. A lack of spoken words, encouragement, and mental stimulation hurts children of low-income families more than a lack of money! Welfare can help with money but it can’t help with the environment in the home. So we see that if low-income families could embrace the idea of emphasizing reading and imagination in their children, they would do much better in school and possibly escape the predicament of their parent(s). Another common yet important activity is playing with blocks or Legos--toys that are creative, that challenge solutions to be found, are three-dimensional, yet fun. You can also teach them counting, colors and letters in a fun way, but competing with other parents on what their child knows is not nearly as important as preparing them to be open and excited about learning. Stimulation is the magic ingredient in learning. When learning is an adventure then adventures are teaching. Set them up to discover something. For example, teach them the shape of leaves for different trees then take them to a forest or park to find them. Let them grow things. It has been shown that kids who grow their own vegetables will eat them. It also teaches responsibility and patience. Kids love imaginary play with their dads. Give-in to it occasionally and ask them questions about their imaginary friends to get them to think and imagine even more. Challenge them with options/choices. Would they rather ride an elephant or a train? What is a better present for Mom? Their painting of her, or making her breakfast? Always get them to think and make decisions. Traveling teaches kids in a way schools can't. Take them on a train trip. Go camping and hiking. Take them to a farm or to the city. Let them see other cultures and other terrains when possible. Take them to the zoo. Teach them about monkeys or tigers then take them to the zoo to see them instead of just wandering through without a purpose. Visit a Science Center. A good one will have all sorts of interactive exhibits. Take your children, as young as two years of age, and they will be in awe. Let them help you. Occasionally, let your children help you around the house, even though it will slow you down; and explain what you’re doing and why, even though they may not understand. Stare into the sky. When comets are forecasted on a clear night, take your child on the roof (if safe) or on a high hill and watch for them. Go deep into the country on a moonless night and look at the Milky Way. Point out different stars and constellations. These are just some ideas. Having your children understand these moments or lessons is not as important as the interplay and stimulus they get from it. The memories may last a lifetime! Socially, your children need to know how to play, share and cooperate with other children. Ask their friends along on these adventures occasionally and observe their interactions. Social experience is important so they are not afraid of school or people. Friends are important for them, both to enjoy, and to deal with. Get your kids involved in group activities that can be found in parks, libraries, and in the neighborhood. Your children should know that the world is limitless in its beauty and variety. They should feel confident in themselves having been challenged, just enough to need significant effort, but within their capability. They should be outside as much as possible experiencing and not just watching, looking for four-leaf clovers more often than looking at television. Television should be a side dish, not a main course. Children that have parents that read to them, notice them, listen to their questions, take them on small adventures and wallow in creeks, who take them on hayrides, look at clouds, and make snowmen together--these are the children that have been stimulated with a love of learning and have learned they are loved, who have an interest in many things, and who love to wonder and wander. What a beautiful way to start a life! What your child knows is secondary to their curiosity. Question > Have you done any of the above ideas with a child? How did that go? Did your child learn something or did you? Questions to Ask Your School-Aged Child or Teen > This free ebook is designed to help you and your child connect on a deeper level. 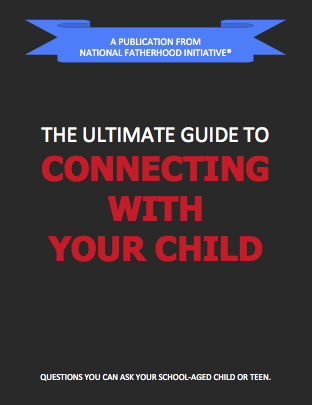 Use it to help yourself and the dads you know.